* Submission and acceptance of an abstract/manuscript means that one or more of the authors MUST register by May 1st and attend the Dredging Summit & Expo ’19. Please submit all draft manuscripts as attachments in Adobe Portable Document (pdf) format online through the dashboard of this website by February 8, 2019. After you login, clcik “Edit” to access your abstract and then upload manuscript and any supporting documentation there. Draft extended abstract (2 pages PDF) and PowerPoint (PPTX) presentations are to be submitted online ASAP. Login to the Dredging Summit & Expo website and upload these as PDF & PPTX attachments. After you login, click “Edit” to access your abstract and then upload extended abstract, presentation and any supporting documentation there. Both will be peer-reviewed and authors required to respond to reviewer recommendations to obtain approval for the presentation. Extended abstracts and PowerPoint presentations will have the same submission and review schedule as full papers. Final extended abstracts will be published as part of the 2019 Dredging Summit & Expo proceedings. Log into the conference website using the following link. Input your username and password you established. If you forget your password, click here to reset. Once logged in, click “Edit” and access the abstract. Attach extended abstract as a PDF’s and any supporting information and click “Save”. Large attachments will take a little while to upload so please wait until this occurs before exiting. 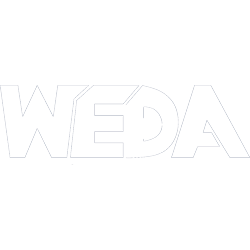 If you have any issues either logging into your account or uploading attachment(s) via the conference website, you may email the files directly to info@westerndredging.org If the files are too large for email, use the following link to upload to WEDA’s Sharefile server. The peer review comments will be sent to the first or corresponding author by March 15, 2019. The final manuscript and the speaker information forms are due by April 19, 2019. Please upload your final (pdf) manuscripts, copyright and speaker information forms through the author dashboard on this website. The April 19, 2019 deadline is a hard deadline and will not be extended. The final proceedings will be assembled by Donald Hayes. Authors are to obtain all necessary approvals for publication from employers or others involved, before submission of the paper. Submission of a manuscript implies that it is not under consideration for publication elsewhere and that original, previously unpublished work is being presented. The manuscript is to be free from evident commercialism or private interest. Copyright will be the property of the Western Dredging Association, but the author will be granted permission to reprint the manuscript and third party requests will be passed on to the authors. Manuscripts should be concisely written and not exceed 15 total pages including figures and tables. The conference proceedings will be available online and distributed out electronically at the conference. The manuscript provided by the authors must be an Adobe portable document file. The proceedings will be in color. Please give the manuscript instructions to the person responsible for the preparation of the manuscript. Keywords: Please provide 5 keywords that are not already contained in the title. Abstract (not to exceed 400 words). Keywords, list five keywords that are not already in the title. Continue Introduction and following text, conclusions, nomenclature (if necessary), and references. The text should be formatted for 216 mm x 279 mm (8½ in x 11 in) paper with single line spacing, and 2.54 cm (1 inch) margins. A template containing the proper formatting is available by clicking HERE. Double-space between paragraphs. Use full justification. Do not indent the first line of the paragraph. The image area or block of text will then be 165.1 mm (6.5 in) x 228.6 mm (9.0 in). Do not leave additional margins. Do not use company letterhead or logos. Do not wrap text around figures or tables. Please use the Times New Roman font and the 10-point font size. Do not use headers or footers or draw a frame around your text. The title of your paper should be in 12-point font size and all capital letters. Headings should be typed in bold capital letters centered and followed by a double space. Bold capitals and lower case letters should be used for subheadings, which should be preceded and followed by a double space as illustrated by these instructions. Sub-subheadings should use bold and italicized capital and lower case letters, which should be preceded and followed by a double space. Sub-subheadings are also illustrated in the instructions. References in the text should be given as Smith (2011), (Smith 2011) or (Jones et al. 2014). References should be listed alphabetically in the References section at the end of the paper. Give the last name and initials of all authors, followed by the year of publication in parentheses, the title of the article and publication, and the publisher. References to conference papers or proceedings should include the name of the organizers. References to articles published in journals should also include the name of the journal, the number of the issue and page numbers (see example below). References to publications in a foreign language should give all details in the original language followed by a translation of the title. The list of references is to be single spaced with a line space separating each reference as shown in the example below. Hunt, J.B. (1995). Environmental Dredging. New York: Smith & Son, Inc.
Jones, F., Doe, A., Hart, E.J.E., and Next, J.P.J. (1995). “The design of dredged material disposal sites.” Proceedings XIVth World Dredging Congress 1995, CEDA, Amsterdam, The Netherlands, 350-368. White, F.K. and Jones, J.M. (2001). “The analysis of flow fields around dragheads.” Journal of Waterway, Port, Coastal and Ocean Engineering, 121(5), ASCE, 1-16. The citation is how a person would reference the author’s paper and is located at the end of the manuscript. An example citation is shown below. Doe, R.E., Smith, X.Y., and Jones, T.B. “Title title title,” Proceedings of the Western Dredging Association Dredging Summit & Expo ’19, Chicago, IL, USA, June 4-7, 2019. Do not include page numbers in the electronic manuscript. High quality figures and tables should be numbered and incorporated into the body of the text. Color is encouraged for figures and tables. Place figures and tables in the body of the paper as close as possible to the paragraph where they are first mentioned. Figures and tables must not be placed at the end of the paper. Figures and tables must not be wrapped into the text. Photographs should be scanned and placed as a figure. Figure captions should be centered below the figure and table captions must be centered above the table. Both figure and table captions must be typed in bold. The lines and lettering on the figures should be clearly legible. All line drawings must be accomplished using electronic software and inserted electronically as a figure. Photographs should be scanned and placed as a figure with an appropriate title. Color photographs are encouraged. To view and print these author instructions, please click here. To view and print the example template, please click here. To download and print the speaker information form, please click here.